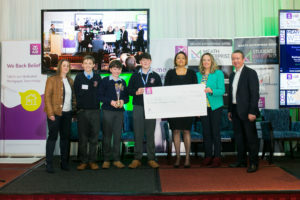 The MEW Student Enterprise Challenge took place during Meath Enterprise Week and students from secondary schools across Meath got the opportunity to showcase their business ideas and benefit from cash prizes and awards. 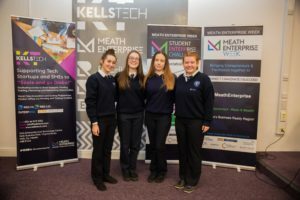 Competing students pitched their business ideas to a panel of judges (Gary O’Meara Meath Enterprise, Valerie Willis Prepaid Financial Services, Alma McClorey AIB, Rosita Moyles JM Foods) at the new Kells Tech Hub in the run up to Meath Enterprise Week. 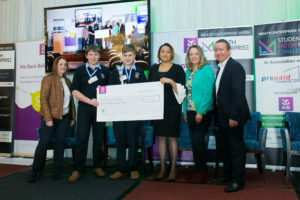 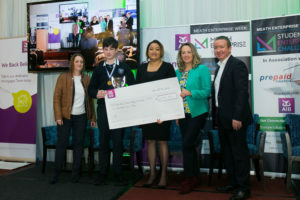 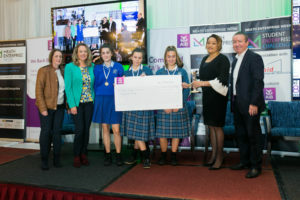 Winners were the announced at the MEW Business Conference & Expo in the Knightsbrook Hotel, Trim where many of the students participated in the expo before receiving their awards and cash prizes. 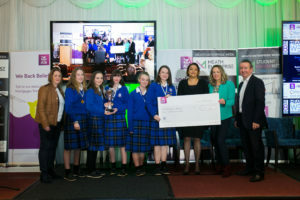 The schools also received cash prizes with Meath Enterprise matching the winnings from each category in which they were represented. 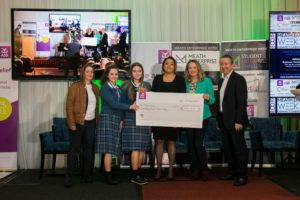 The purpose of the competition is to encourage and reward entrepreneurial creativity, innovation and participation among the youth of Meath while also providing a platform for aspiring young entrepreneurs to engage with and learn from leading entrepreneurs and businesses from across the region. 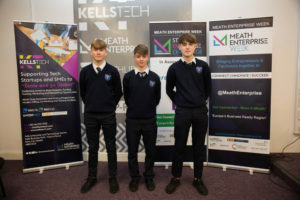 The MEW Student Enterprise Challenge, which is now in its 5th year, has been an important starting point for many student start-ups in Meath and is an excellent opportunity for students to meet potential business advisers, mentors and investors. 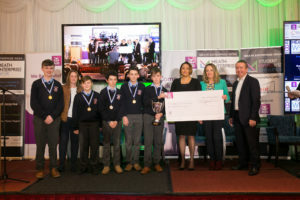 A huge thanks to all the students and schools who competed for making it such a competitive and interesting contest.